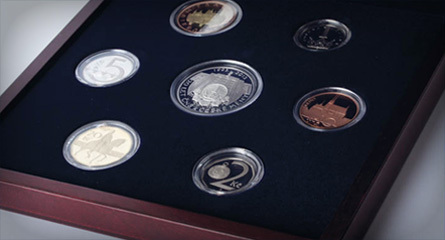 Buy commemorative coins and medals direct from the manufacturer. We guarantee top quality of service and a wide assortment of goods in stock. Please yourself or your friends with an original and valuable gift from the Czech Mint. At your request we will engrave your text or a photograph onto the medal. We offer investment coins and bars from both renowned foreign mints and our own production of smart coins. A smart investment free of VAT. Luxury jewelery from pure metals decorated with precious stones are not only beautiful on the outside - inside hides a beautiful surprise in the form of a commemorative coin! The four-part miniseries "Inventions of Leonardo Da Vinci" introduces another flying machine after the helicopter. Jiří Šlégr became the next "golden boy", who appears on the gold coin of the Czech Mint. The martyr, the patron, the saint, the legend - we all imagine this when pronouncing the name of John of Nepomuk. The NW truck, one of the first cars of its kind in the world, was built in the future Tatra Kopřivnice in 1898. The "Czech Lions", a series of coins with a foreign licence, were issued by the Czech Mint. In a luxurious set with the year of the issue 2019 you will find a trio of gold mintages weighing 1kg, 10oz and 5oz. The smallest "Czech Lion" is available to investors with a weight of 1/25 troy ounce. Favourite Czech Lion in one troy ounce of pure silver. No matter how you interpret the four-leaf symbolism, the gold medal for Luck is sure to bring enormous joy. Unique silver coins with sharpened Bohemian Crystal are the result of a combination of the Czech Mint and Preciosa. Luxurious jubilee set of circular coins embossed in top quality proof in cooperation with the Czech National Bank. We published a new issue plan 2019! your favourite coins and medals. Dear friends and partners of the Czech Mint, the World Money Fair 2018 is at hand and business callendars are filling up fast. Are you interested in the company's history, the process of production of coins and medals, or what we have been honored? Here you will learn everything about the Czech Mint! Czech minting has a history of more than a thousand years – our land was gifted not only with exceptional beauty, but also a wealth of silver. This silver was used by old craftsmen to make art that we admire to this day, and the Czech Mint is proud to continue in their tradition! We make not only all the circulating coins that jingle in Czech pockets, but also all Czech commemorative coins and many of our own commemorative and investment products from precious metals. Their designs carry a multitude of emotions and a thousand years of love for the craft… See for yourself! 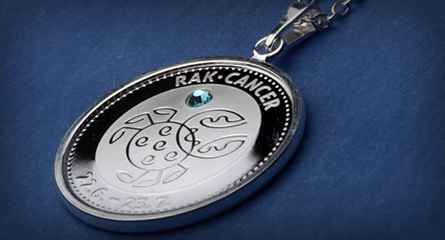 Signs of Zodiac New motifs of zodiac medals are coming! Leonardo da Vinci 500th anniversary when he exhaled the last time. Silver coin On Wheels The most interesting means of transport from CZ.